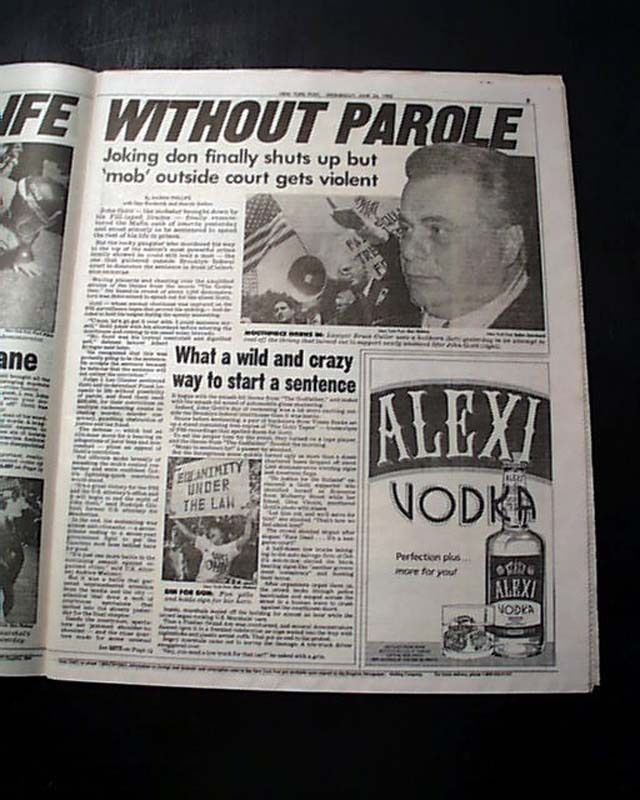 This famous tabloid newspaper has a great displayable front page heading and photo concerning mob leader John Gotti's life sentence which ended up being his last day of freedom in society. 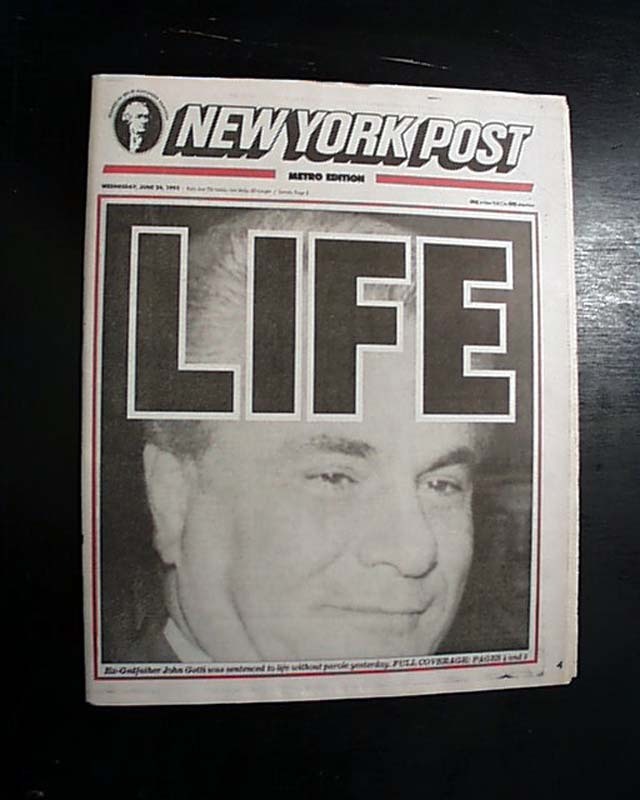 The front page has a great headline: "LIFE" (see). 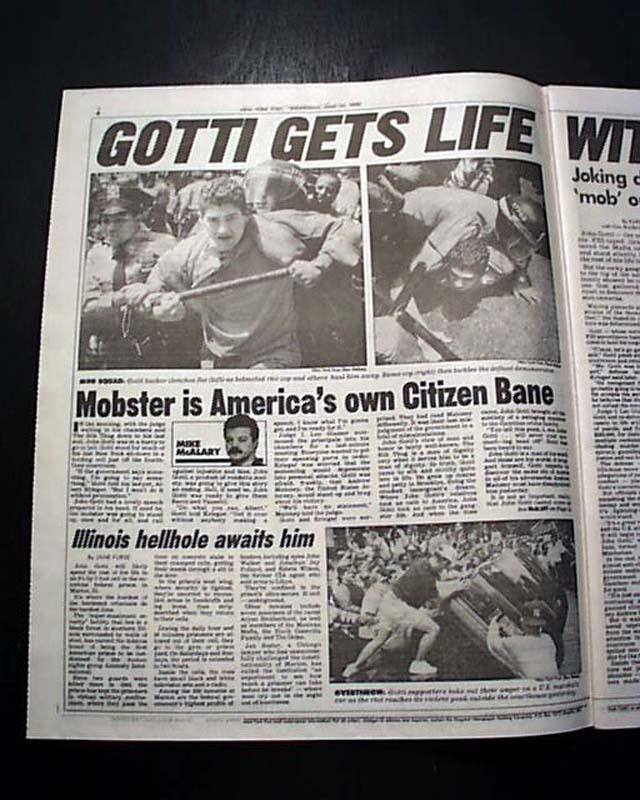 Reporting with a few more related photos on pages 4 & 5. Complete with all 56 pages, nice condition.